Also featured: live performances of "Home" and "tonite"
LCD Soundsystem have released new songs for the Spotify Singles series, recorded live at Electric Lady Studios in NYC. The single features live in-studio performances of “tonite” off the band’s latest, 2017’s American Dream, as well as a cover of Chic’s “I Want Your Love” interpolated with “Home” off LCD’s landmark 2010 album This Is Happening. 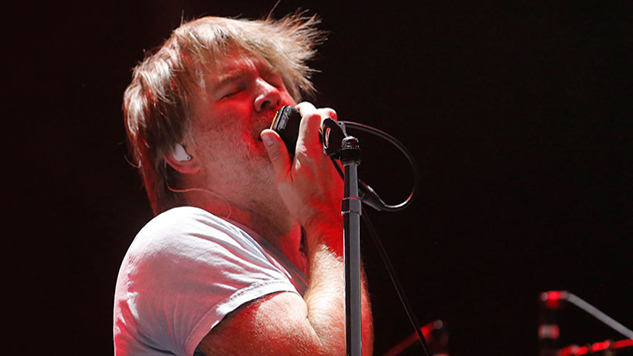 The Spotify Singles release is LCD Soundsystem’s first since they finished their 2017 world tour in support of American Dream. Next month, band members Gavin Rayna Russom and Nancy Whang embark on tour as the Ladies of LCD Soundsystem. Listen to the band’s new singles here and their 2007 Daytrotter Session below.